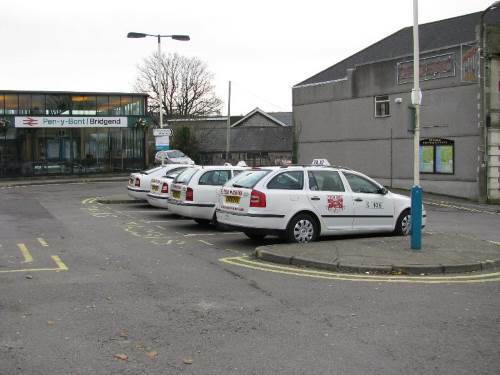 After more than a year of back and forth between Bridgend Council and representatives of the taxi industry in the county, BCBC’s Cabinet has approved a fare rise subject to public consultation. 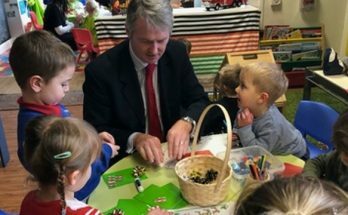 “As drivers have been telling us that they face large outlays before they can start to earn a living, we have agreed to see whether the public are willing to agree to a slight rise in fairs, keeping in mind that taxis should remain affordable for the public, especially those who depend on them. The proposals are now out for consultation and any objections have to be registered with the council by 12pm next Friday (16th November 2018). 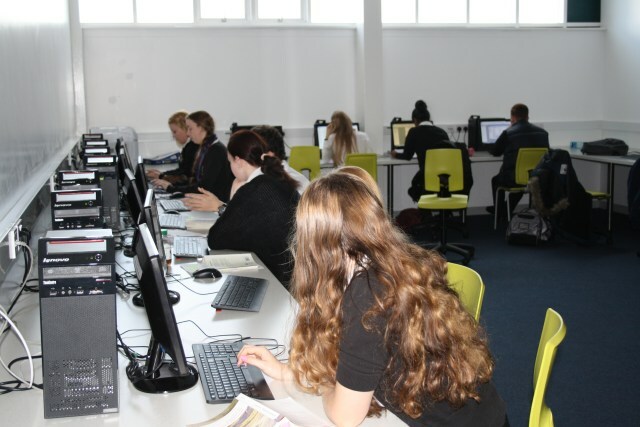 All the information is available here (pdf). In summary, the first half-mile charge will be 30p higher, waiting times will remain the same while the contamination charge rises by £25 to £125. The meter charges will also charge per tenth of a mile instead of per eighth of a mile. 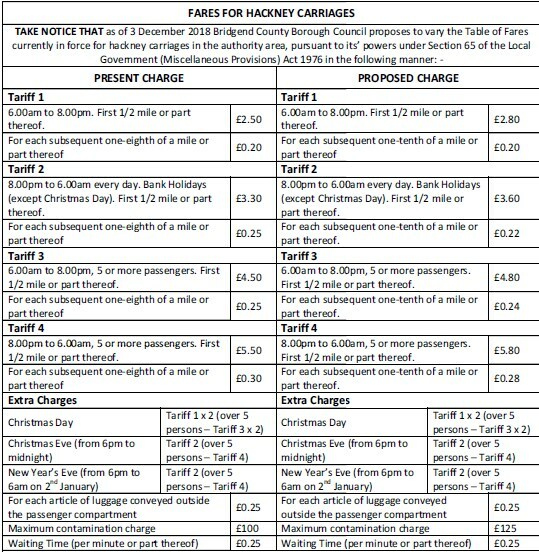 If there are no objections, the new fares will come into force as early as 3rd December 2018.